This week, the aviation industry was taken by surprise when American Airlines made an announced that Qatar Airways, the government-owned airline asked to acquire a minimum stake of 10% in the U.S. based air carrier. The overture, which on Thursday was disclosed by American, sent shares of the U.S. air carrier up 1.2%. However, in a letter sent to his employees, CEO at American Doug Parker said he was confused by Qatar’s interest since the two airlines have battled over the government’s subsidies Qatar Airways receives. Parker added in the letter than anyone can acquire shares of our airline on the open market, but the company is not excited about the outreach made by Qatar. American, Delta Air Lines as well as United Airlines and their respective unions sent a letter in March to President Donald Trump which asked the president to enforce the trade agreement with Qatar and the United Arab Emirates that are in place to keep competition on level ground for all. The U.S. air carriers accuse Etihad Airways and Qatar Airways of having an unfair advantage through receiving large subsidies from the governments in their native countries. Qatar Airways, on its official website, said it is planning to make its initial investment of 4.75%, worth approximately $808 million, in American, which is the most that the airline allows without needing an advanced approval for the company’s board of directors. The Persian Gulf based airline said it see an excellent investment opportunity with American Airlines. An airline analyst for an online research group said that report was awkward given the airline industry’s allegations in the U.S. of unfair practices by carriers in the Middle East. 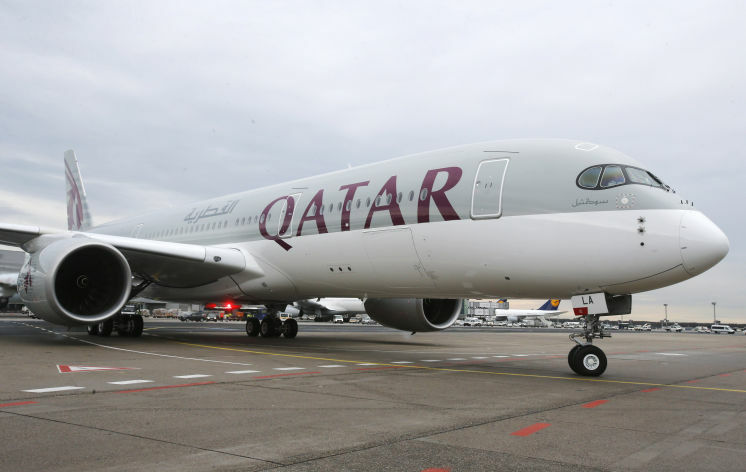 However, interest by Qatar Airways could be looked at as a way for it to strengthen its ties with a major revenue source because the U.S. is the No. 1 destination Qatar Airways and represents over 8% of its flying overall. However, tensions across the Persian Gulf might also be in play, said analysts. Qatar has recently engaged in a diplomatic battle with its neighbors in the Gulf region Saudi Arabia, which has led to the UAE, Bahrain and Egypt to cut diplomatic ties as well with Doha, the capital of Qatar, over claims the government there supports extremist organizations.